Have good times returned to the U.S. Senate? The new Congress is less than a month old, and the Senate, long derided as “dysfunctional”, seems to be operating more smoothly. For instance, the Chamber has already held more roll call votes on amendments this year than it did last year. According to U.S. News & World Report, the Senate has had votes on 16 amendments, compared to 15 last year. Democratic Senator Brian Schatz of Hawaii said that when he heard Senate Majority Leader Mitch McConnell announce that milestone, he “wanted to applaud”. I think we are in a healthy environment on the floor of the Senate where we are pursuing amendments and active debate, and it is great to see that happening. The only way that happens in the U.S. Senate is when the majority and the minority work for it to happen. The rules of the Senate are constructed, as we both know well, so that literally any one Senator can stop the process. But the good-will and good-faith efforts of Senators on both sides of the aisle have really brought us to a good moment here. One Democratic Senator, Claire McCaskill of Missouri, told Leader McConnell that votes should be cut from 15 minutes to 10, Politico reported. Although prospects are good for a more open Senate, some difficulties and obstacles have already surfaced. Senate Democrats have complained that a series of their amendments were unfairly set aside on the evening of Thursday, January 22. And, of course, the Democrats’ climate change amendments expressing the sense of the Senate were more for messaging than anything else. But amendments like those are nothing new. Overall, things are certainly looking up in the Upper Chamber. 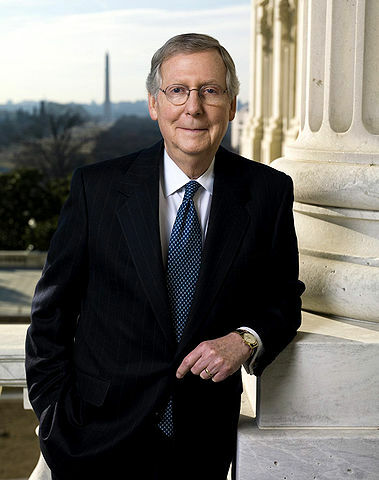 The new Majority Leader Mitch McConnell deserves praise for restoring the Senate from the lethargy we’ve seen over the past couple years. The challenge is to keep moving forward, to keep debate going. Right now, the Senate’s reaction is a lot like the pent up demand seen when John Boehner took over as Speaker in 2011. Following a Congress that saw no open rules, Members of the House filed over 600 amendments to the first bill brought to the Floor. It will be difficult for the Republicans to make an enduring commitment to an open amendment process. On a good day, poison pill amendments, designed to force the opposition to take positions on difficult issues, are obnoxious. But they will be even more odious over the next two years since the Republicans will be defending more seats than the Democrats, and a number of these will be in swing states, during a Presidential election, which typically draws more Democratic base voters than midterm elections do. Fear of poison pill amendments should not deter Republicans from keeping the amendment process open. They have some means for dealing with the most obviously political ones, such a filing non-debatable motions to table such amendments. And, the Republican majority can make life equally as miserable for vulnerable Democrat Senators such as Harry Reid. Majorities always prefer efficiency when it comes to enacting their agenda. Yet our constitutional system was created with the idea of a Senate that would be anything but efficient. The Senate’s job is to be a moderating influence on the more efficient and majoritarian House. The Senate has been called the “world’s greatest deliberative body.” It did not get that way by hiding behind the legislative skirts of the Majority Leader. Yes, this means Senators will have to cast more tough votes than they did in the last few years – but after all, they presumably signed up for taking hard votes when they got themselves elected to that august body.